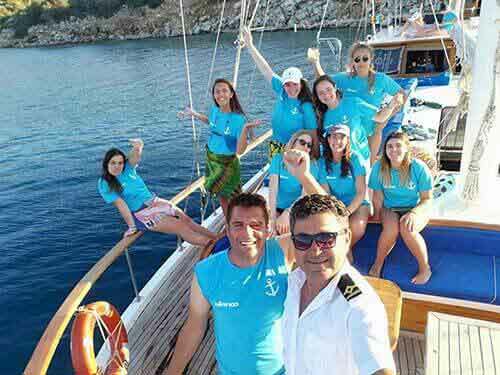 As Barbaros Yachting family, we are once again in your presence to re-present and repeat the success in Private Yacht Rentals, which is based on customer satisfaction. 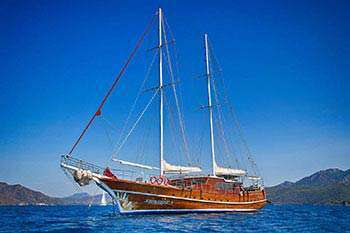 We have both renewed and broaden our gulet fleet in order to be able to fulfill the requests that may come from different segments. 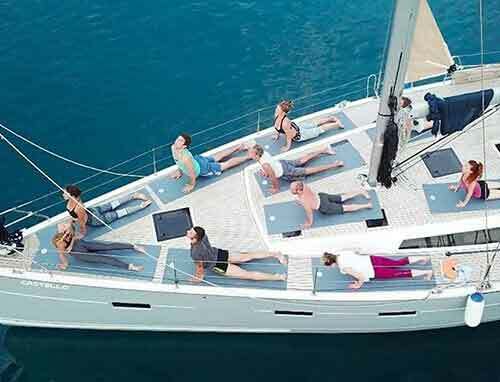 Should you have family members or friends that you take pleasure in travelling together, Private Yacht Rentals will be the choice that fits you like a glove. 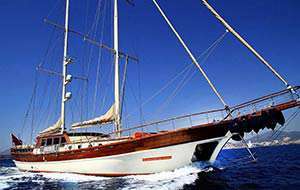 We can maximize your idea of travelling totally by a tailor-made service and a menu designed only for you at a yacht that will host only you and your beloved ones. 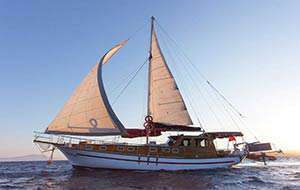 In our fleet, our gulets vary from 15 meters to 40 meters, 3 cabins to 16 cabins, 2 crew members to 8 crew members. 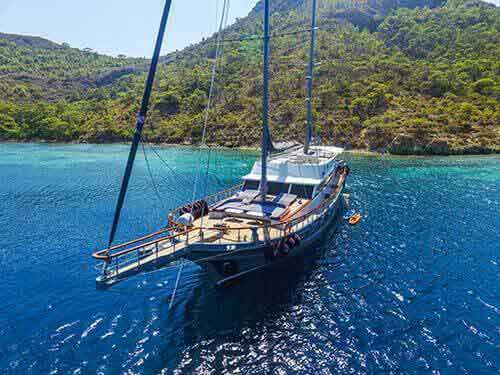 We present our yachts in our gulet fleet under four main categories; Ultra Luxury, Luxury, Standard Plus and Standard. 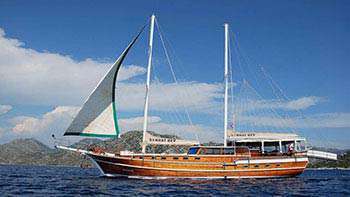 Our gulets are built traditionally by local carpenters; they are handmade, wooden, Motor Sailors. 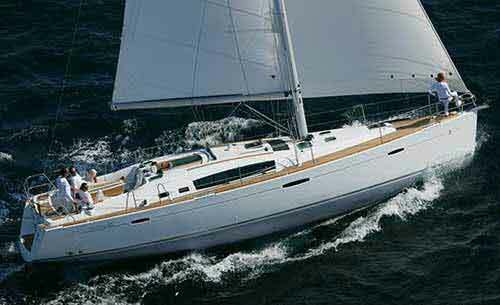 According to your feedbacks lately, we have decided to add Motor Yachts to our fleet. 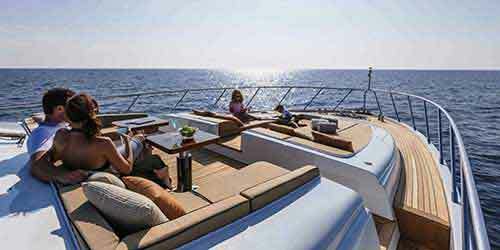 Our yachts offer a high standard of safety and comply with local government and international regulations. These regulations are monitored thoroughly by the coastguard and harbor masters. 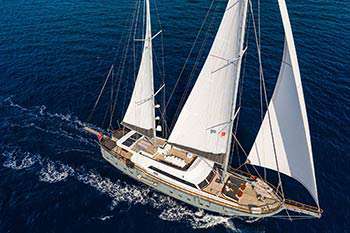 On our exclusive tailor-made tours your yacht will anchor in 2 or 3 bays daily depending on your chosen itinerary and there will be a maximum of 4 hours cruising per day. The last stop will be the place where you will stay for the night. 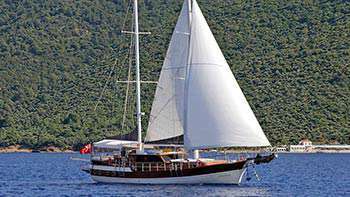 Usually the motor will be used to power the gulet. 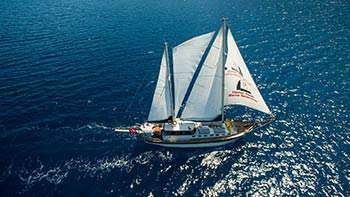 However, from time to time if the wind/ weather conditions permit, your crew will be happy to use the sails as well. 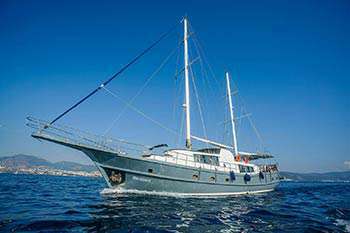 All of our gulets are equipped with a dingy, which is fitted with an outboard engine. For our customers’ use there is fishing and snorkeling equipment. 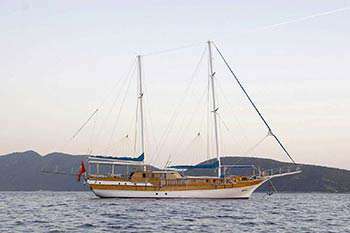 Some of our gulets also have windsurf, canoe, water sports equipment and jet ski. Water sports and jet-skiing is at an extra cost and can be paid for on board. There are also ample opportunities to sample different water sports such as jet-skiing, water-skiing, ringo and banana boat riding. These are also available at an extra cost and are organized by specialist water sports groups at the different bays visited. 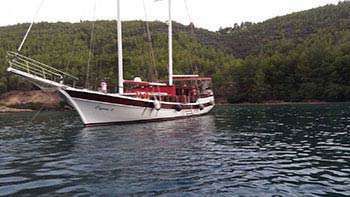 Once the gulet is moored you will have free time to visit any archaeological ruins, take a little walk in to the pine forests and generally explore the beautiful coastline. Reading your book and having a siesta under the shade with a breeze may be another option. Of course, sea-lovers can enjoy swimming, snorkeling and sunbathing. 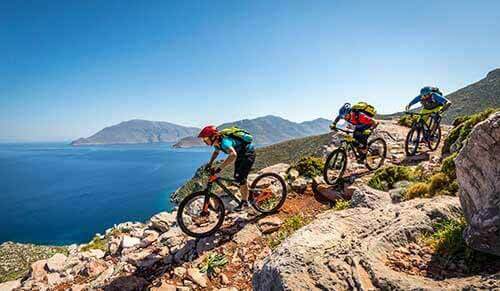 We can also organize private land excursions upon your request to the nearby local towns, ancient sites and natural attractions. The meals during the cruise are prepared on board and are of a high standard. We may also recommend some local fish restaurants on your route for you to sample on a few occasions if you would like to. Menus will be decided before the trip according to your requests and preferences. At dinner the main course is fish or meat accompanied by kinds of Turkish and Greek mezes (starters). If you have any special requests (religious preferences - health oriented) these can be organized if notice is given beforehand. Our chefs will delight you with the surprises they present during your meals.